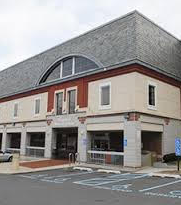 The Finkelstein Memorial Library in Spring Valley is celebrating its 100th anniversary onSunday, April 23 by re-creating the day it was first opened. There will be a ribbon-cutting with decorations, music (performed by the Spring Valley Marching band along with other guitarists and drummers), refreshments and Boy and Girl Scouts presenting the American Flag. The library was around since 1917 but was renamed the Finkelstein Memorial Library in 1945. Joseph N. Finkelstein was a Russian immigrant and philanthropist who made his money in corduroy. In 1941 the Finkelstein family erected and furnished a new building for the library at the corner of South Madison Avenue and Route 59 in memory of Joseph’s passing. Finkelstein has been expanding since its original construction. It has added a children’s room in 1960, a 29,000-square-foot addition in 1987, a circulation desk and an open lobby in 2015 and has increased its number of books to more than 268,000. Finkelstein has become more than a library, it’s a community resource. There are citizenship classes, ESL classes, job-training sessions, technology and homework help, speakers and cultural events. Along with the ribbon-cutting, the library will be hosted several events throughout the years such as a Finkelstein Night at Palisades Credit Union Park, a Golf Outing, car wash, apple picking, a dinner and many more activities that can be found on their website.